Today was the 200th anniversary of the battle of New Orleans, and we surprised the kids with last minute plans to join in the Bicentennial Commemoration at the Chalmette battleground. The kids and I visited there last year with friends, but this was the first time for my husband to go there. 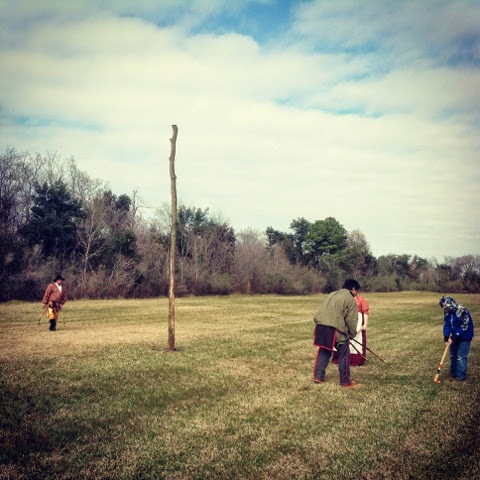 It is colder than our typical rather mild Louisiana winters, and the biting wind and wet muddy ground from recent rains made it easy to imagine the conditions described during the war 200 years ago. 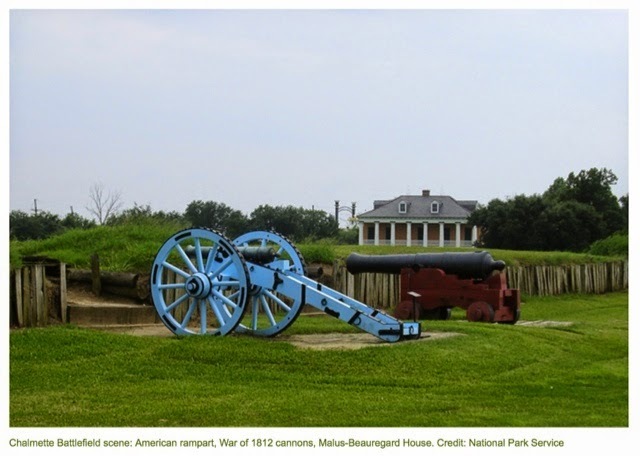 Apparently our muddy soft ground played a part in history, too, as it caused unexpected problems for the British cannons as they rolled off of their boats. Actors representing both sides of the war had tents pitched in various parts of the city. One group of local high school students and teachers prepared gumbo at their campsite. 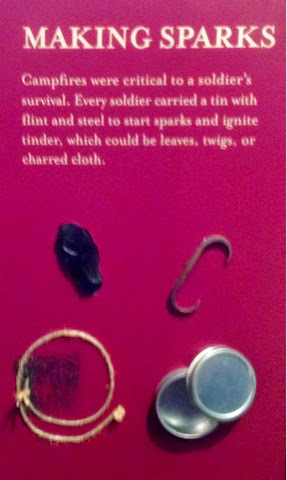 They demonstrated the method used then for starting fires then grilled my kids on their knowledge of the history of the battle of New Orleans. The monument and the house were only open to walk around, but not able to be toured during this event. 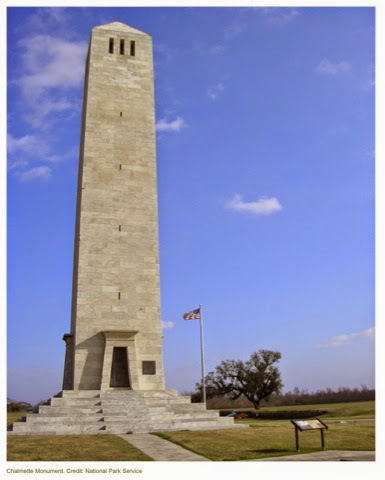 The Chalmette National Cemetery was closed to traffic today (we rode a shuttle from several miles away), but we had quite an educational outing there last time that we visited. In one tent, step by step methods as well as regional variations in the process of making powder horns (for the storage of gunpowder) were explained in detail. Today, the diverse history of Louisiana was shared from different perspectives. Representatives from the Choctaw Indian nation shared in round table discussion format about both their significant role in that war as well as insights into their history. After that, they offered the audience a chance to join in a game of stick ball. We missed the next event (an opera singer) so my son could play ball. Events are scheduled through Sunday. 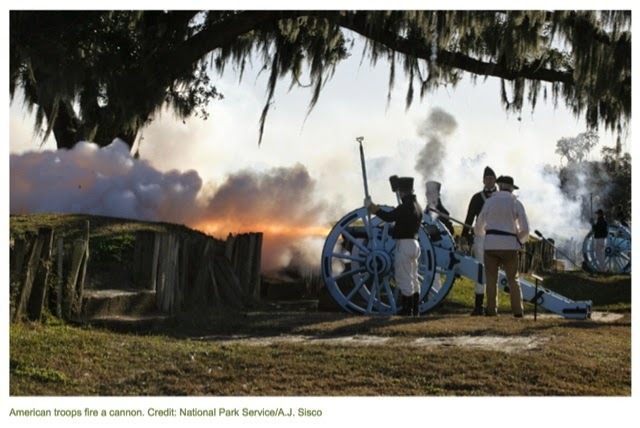 See the schedule, facts from history, and much more on the NPS website. If you live close enough to go, it is definitely worth the drive. I love history and it looks like you had a fun and interesting day. It was very interesting, Renee, and very cold. 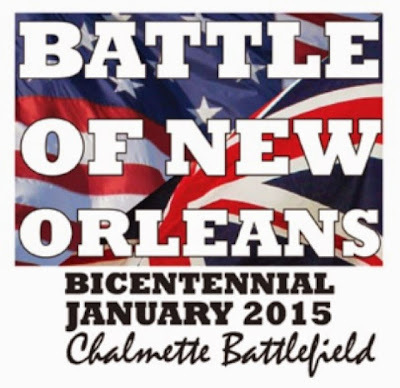 What a wonderful event and a great way to learn history! It was, Kallee. The adults there were all happy to share about history with the kids. It wasn't promoted a lot around here, but we started seeing signs all over for it as we neared New Orleans. This looks like a fascinating event! It looks like it would make history come alive. Absolutely! The kids do learn so much more from events like this than from textbooks.